The Law Offices of James R. Neal, PLLC, located in Ada, Oklahoma, has provided exceptional legal services to clients for many years. Our law firm specializes in personal injury , criminal defense, family law, and more. We work closely with each of our clients to gain a thorough understanding of their needs, objectives, and situation, and strive to maintain open lines of communication. We are dedicated to responding promptly to changing circumstances and demanding time requirements. Mr. Neal attended the University of Oklahoma, where he received his Bachelor of Arts Degree in Political Science and History in 1993 and his Juris Doctorate from the O.U. College of Law in 1996. He has practiced law for fifteen years and has trial experience in a number of different cases, including personal injury, social security, worker's compensation, and criminal defense. He is a member of the Oklahoma Bar Association, the Pontotoc County Bar Association, the American Trial Lawyers Association, and the Oklahoma Trial Lawyers Association. He has served as Adjunct Professor at East Central University in Ada, Oklahoma where he taught the Law of Evidence. Mr. Neal is admitted to the practice of law in the State of Oklahoma; the U.S. District Court, Eastern District of Oklahoma; the U.S. Court of Appeals for the Tenth Circuit; and the Chickasaw Nation. Mr. Edwards attended the University of Oklahoma, where he received his Bachelor of Arts Degree with Distinction in Sociology-Criminology in 2007, and his Juris Doctorate with Distinction from the OU College of Law in 2010. 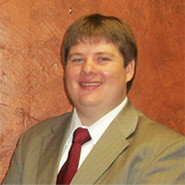 While in law school, he served as an editor for the American Indian Law Review. He interned at the OU Criminal Defense Clinic and the Oklahoma Indigent Defense System, Capital Post-Conviction Division before moving to Ada, Oklahoma. He is a member of the Oklahoma Bar Association, the Pontotoc County Bar Association, and the Oklahoma Criminal Defense Lawyers Association. 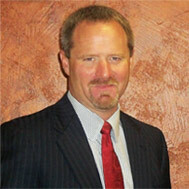 He practices criminal defense, family law, and bankruptcy. Mr. Edwards is admitted to the practice of law in the State of Oklahoma; the U.S. District Court, Eastern District of Oklahoma; and the Chickasaw Nation.